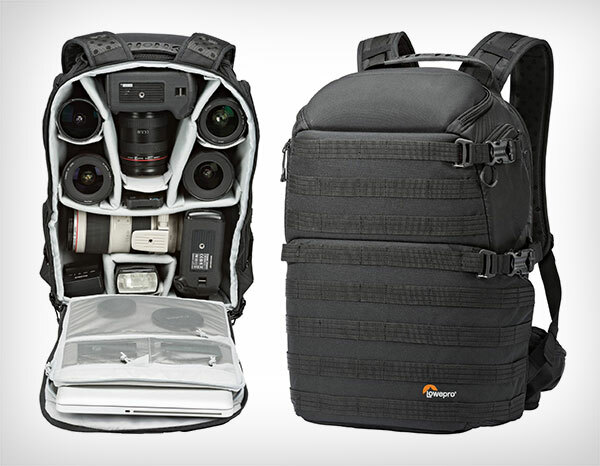 If you happen to be a photographer then you will surely want to have the best gadgets around and an impeccable taste in keeping them safe for the best of your needs. 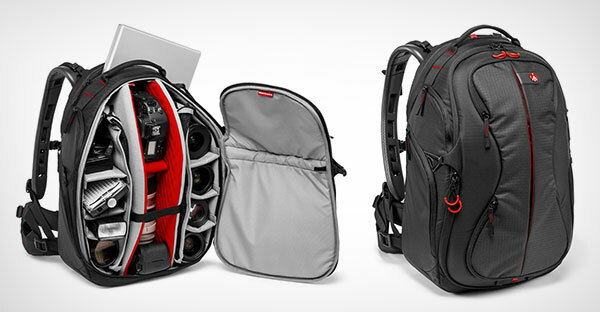 For DSLR camera you need to have a quality backpack or Roller bag to keep cameras safe and sound. 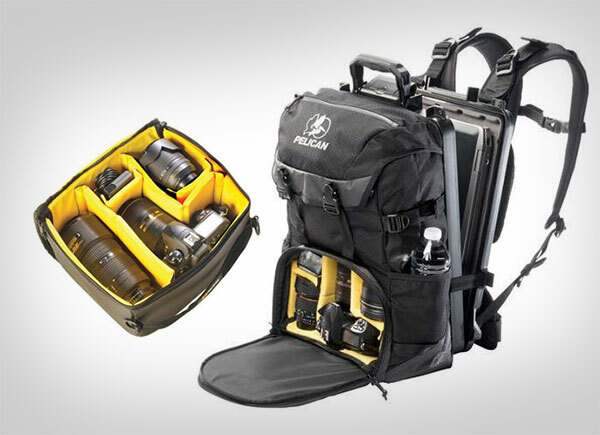 If you are wanting to have a perfect backpack, I have compiled a list of amazingly reliable and convenient source for best DSLR camera backpacks 2016 and also some quality roller bags. This one is an enormous one with classy features and spaciousness. 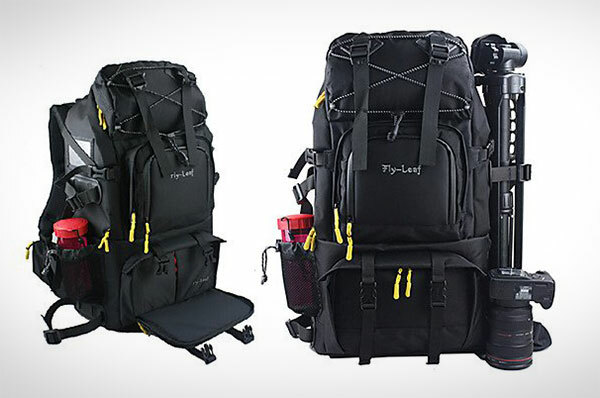 If you like it as something you require for a regular day basis then you would be enticed to know that it has a light jacket and a lot of other features with it that would keep you and your possessions feel safe in its presence. If you are looking for durability then this would be the perfect pick for you, it comes with an all-weather AW cover protects it from rain and dust. If you happen to be a photographer then I am sure exploring is part of the game, no matter if it is rain or snow. 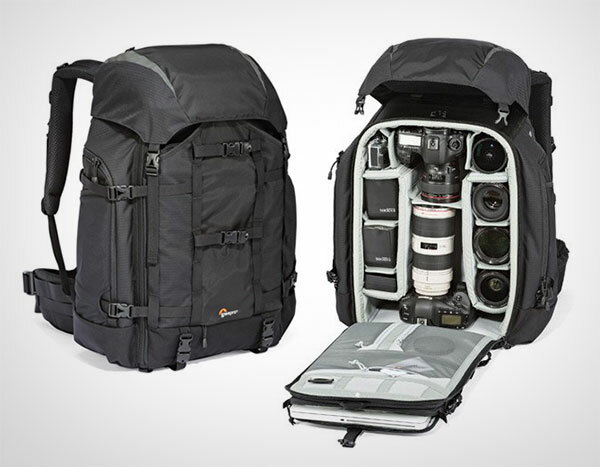 This one looks like a heavy duty backpack, just by the looks of it you can tell how it looks like one of those bags you can rely on for your product’s safety. It comes in an affordable price too. I would not wait and purchase this beauty if I were you. This one might look a bit too stern for the looks of it but well, it could completely you’re your personality if you are one heck of a traveler. The X factor being the rolling case for easy transport through airports provides you a very classy outlook for you. Only 3 left in stock tells you a lot about its demand in the market. The blue adds up to its English taste, it is lightweight and perfect for people who would rely on something that seems durable and Purdy both. This one is spacious, looks quite enticing to buy for someone in need of it, and has a Heavy-duty, ball bearing wheel assemblies feature smooth-rolling. If you need to have an enormous outlook towards your possessions then you will certainly purchase this one. Tripod, cleaning kit, protectors and what not. This one is a heavy catch. Looks amazingly protective, clean and sharp. One that does not want to buy this is heavily missing out on a lot of things in at very affordable price. Woah! 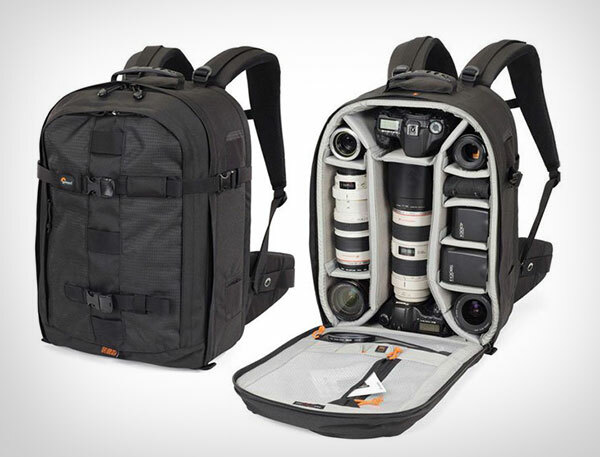 As gigantic as it looks, one can totally have a lot of things stuffed in this one. 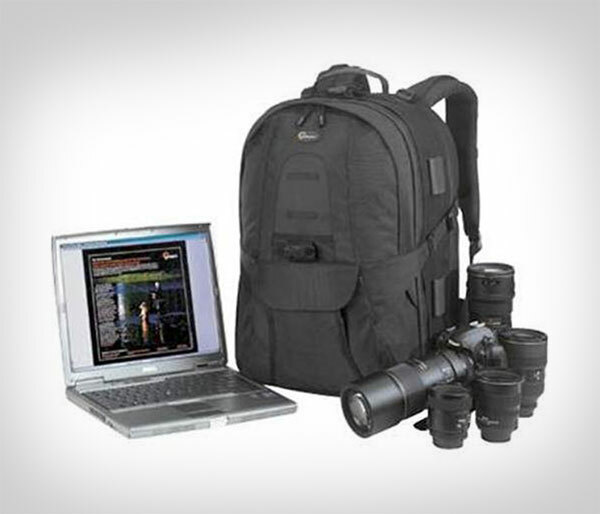 Comes with an affordable price and a large set of gadgets with it. 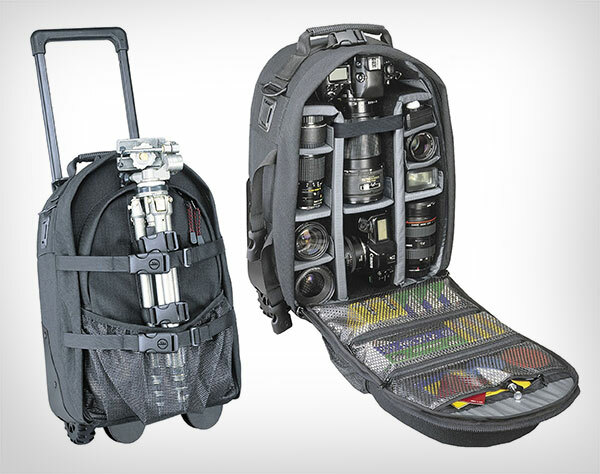 If you are a photographer that is set out to explore a much as whatever comes in then you will surely want to buy this one. The tripod looks quite an icing on the cake. 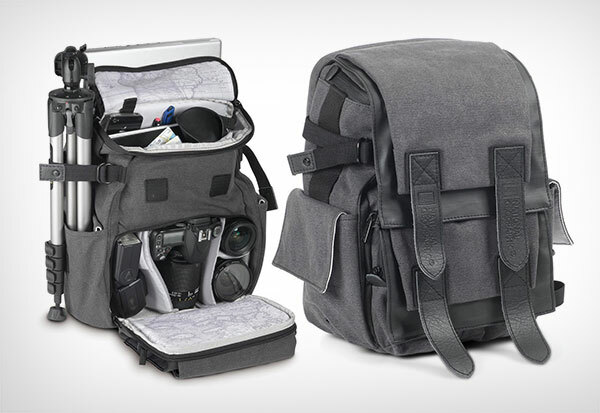 If you have an eye for design and are a keen photographer that purchases only what seems to have a style towards it then this one is your pick, no doubt. Tall people would look amazingly attractive while wearing this stylized pick. Even if one does not have the height they can still buy it for its clean looks. Rich in color and quality not compromised. What else does a person need when durability and comfort is coming both in handy. This one looks like one of those designs that are sold as soon as they reach the limelight in the market. 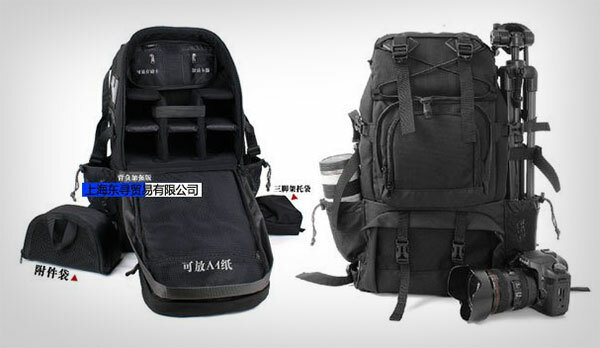 If you believe that you are an explorer and wish to have a protective bag in thick and thin then you must get this one as soon as possible. It is water-repellent, and will provide you the ultimate protection. 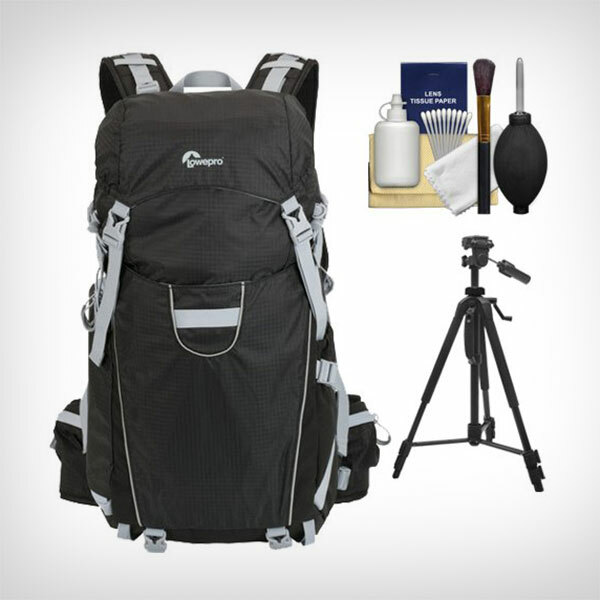 Plus it gives you a dobby/diamond ripstop nylon shell that is an optimum combination of light weight and durability. 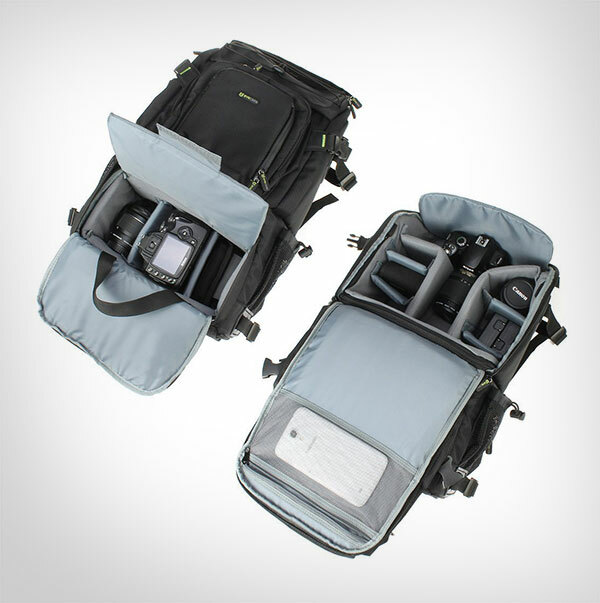 The Removable padded divider set allows you to have a comfortable user experience towards your travel. 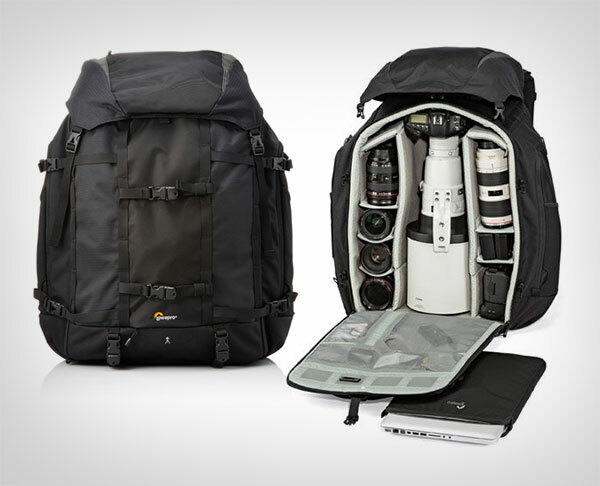 Its amazing qualities and set of gadgets are a huge extra feature for your trips. By the looks of it, this certainly looks like a very good choice for having a durable and comfortable bag for your usage. Its amazing sharp looks and incredibly spaciousness gives you a perfect go for purchasing the item. Designed for perfect durability and for your convenience, it has a rain cover too and will prove to be protective. 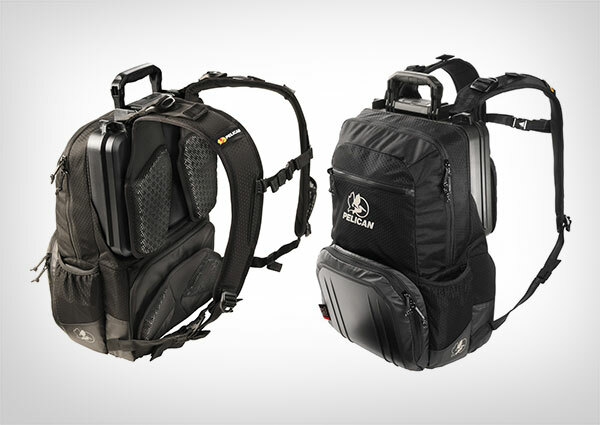 Light weight and elegant backpack. 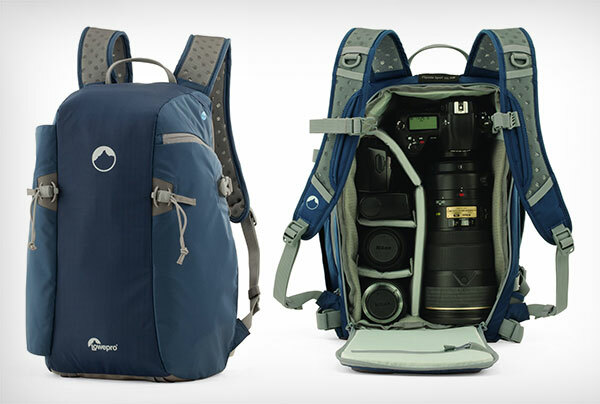 This one is perfect and suitable for all those outdoor photographers who like to keep a backpack that gives them medium sized capacity for their camera. It comes in a very beautiful body that adds up to its capabilities. You should definitely buy this one. If you are looking for something unique and exotic then this one has got the perfect style and design given for you to purchase. The size is very adaptable and color is as evergreen as your work and stream seems to be. 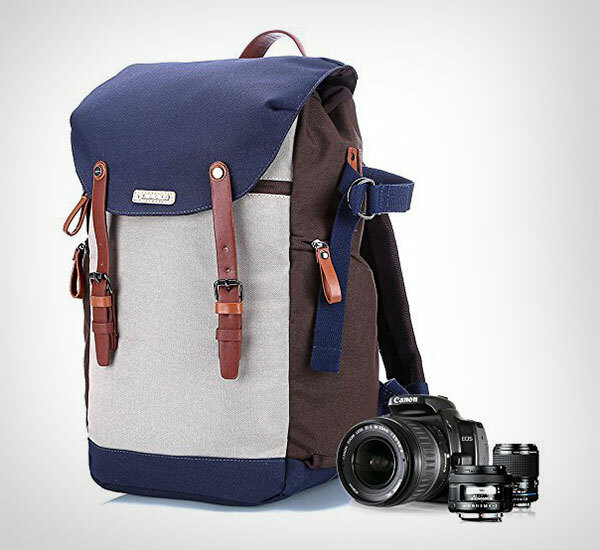 Indulge yourself in the art of photography making by purchasing what is best for you. 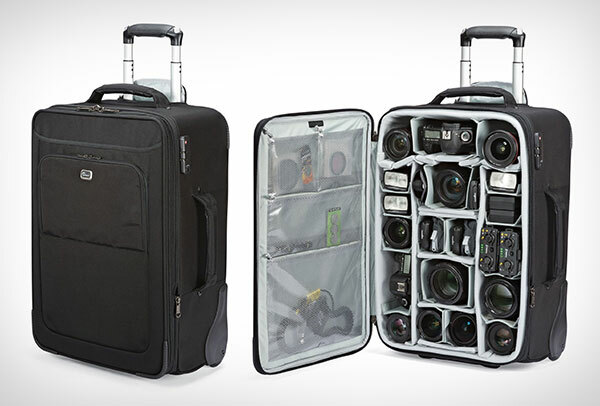 What a handy thing to carry along the way if a photographer undertakes a journey. 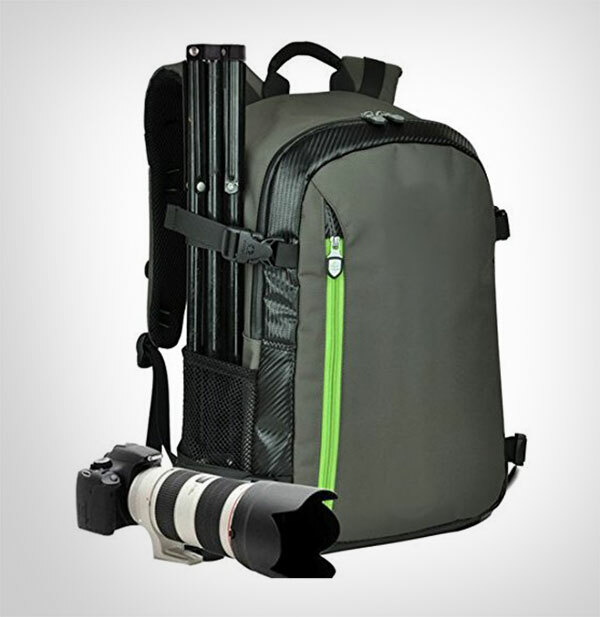 This black photo sport bag has ample space for multiple camera lenses and DSLR camera, the bag gives a comfy seating for the delicate DSLR because of its padded inward interior. It gives ultimate protection against all wet/dry and rainy seasons, surely a must have for all professional photographers who look up for quality and excellence. With its elegant and outclass design you shall get to have a watertight & crushproof case too. 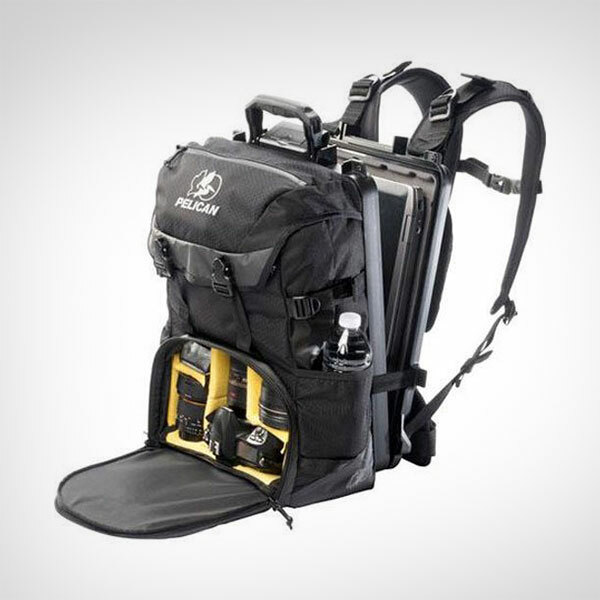 I would never miss out on the opportunity to buy something that allows me to have an access over something this durable and convenient with so much to offer. Perfect for expensive stuff, apple laptops or anything that you would want to protect with all your heart. Given that the design has not been compromised, this qualifies to be ranked amongst the best buys in town. Have a look at it, you would be amazed. Crushproof Case is an important feature. It is one of those products that you would want to buy in a heartbeat. The wonderful design, amazing texture and material is definitely catching your eye here. 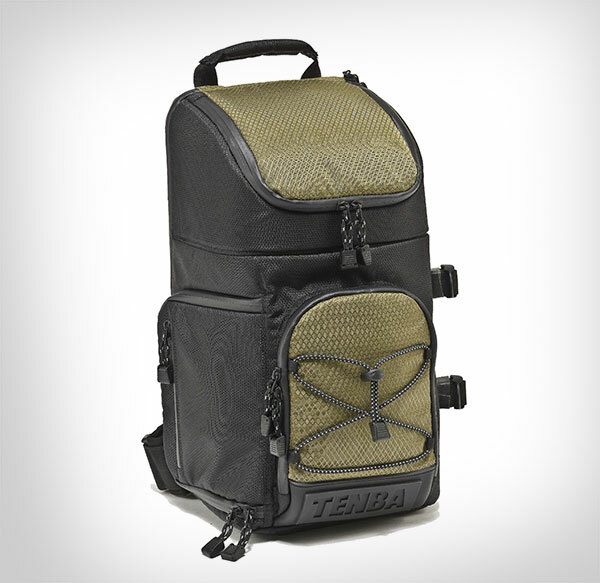 Perfect for taking out and durable too. This one is a fabulous pick, designed for perfection. 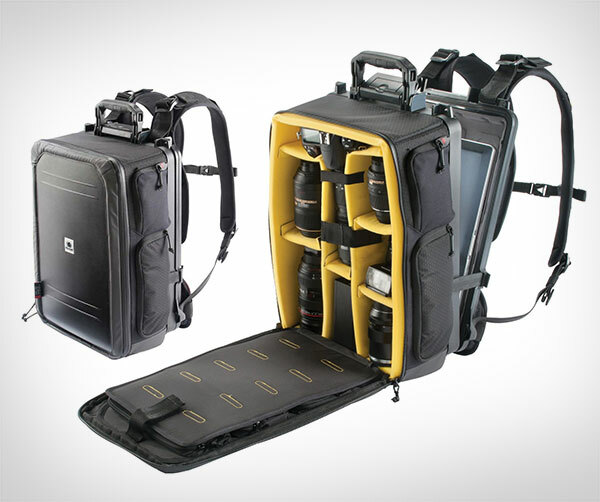 Built-In Watertight, Crushproof Case, Top loading and fast access. It certainly is the nicest catch provided for you to buy at a very affordable price. Its texture is amazing too, plus it looks like it would not rot in a while. Extra lock in S130 will extra secure your bag. 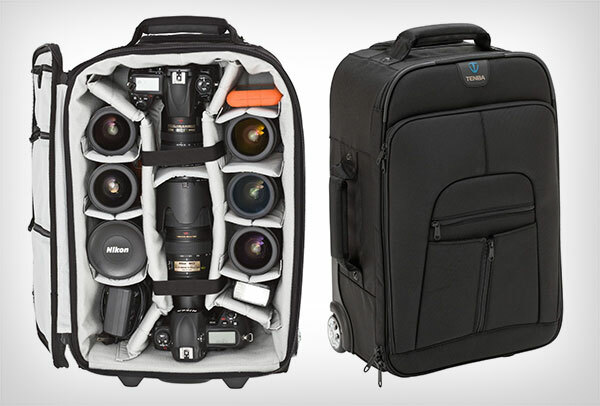 This elegant bag is apt for all those photographers who don’t want to burden their shoulders with weighty things. 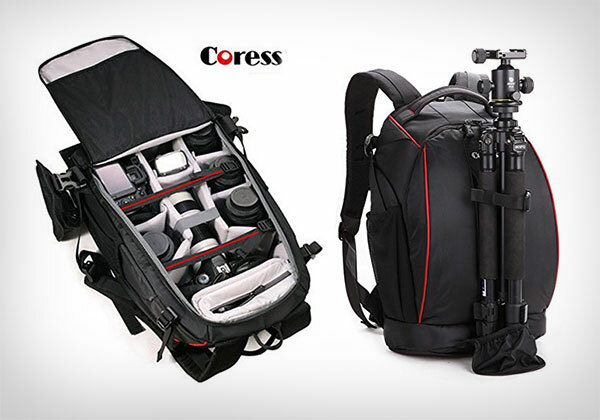 This bag can easily accommodate DSLR, lenses, tripod/monopod with the protective straps in the interior of the bag. There is seam-sealed rain-protective cover as well. It will bring an emotion of longing in your eyes. The sleek features will grab your attention in no while. It has got great texture and the material looks highly expensive, which is why I would suggest you to buy it as they are not charging as rich as it already looks. Look at this beauty, It is worth your time and money. I believe one should not have second thoughts over something that already has a lot of features that too so impressive and outclass to look at. The expense is totally affordability. 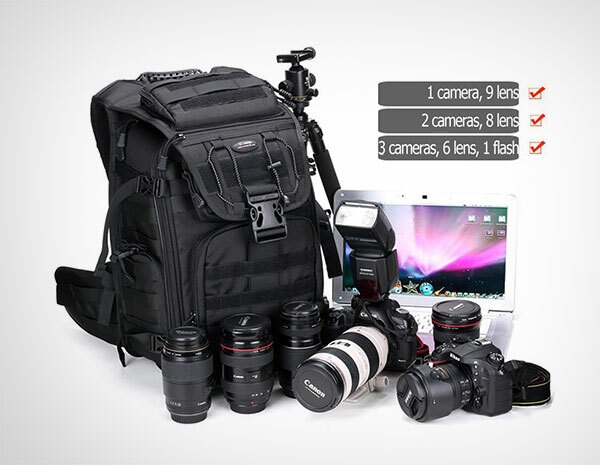 Perfect to capture beautiful moments with your family, this backpack is truly one of its kind. 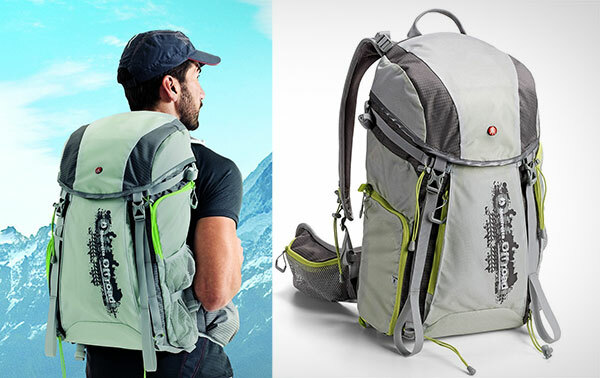 Waterproof material with a pullout rain cover and Top pouch with u-shaped zipper, smaller pouches on the side, large cargo pouch for bigger accessories and fleece-lined pouch for filters or sunglasses this is a great pick with amazing features. 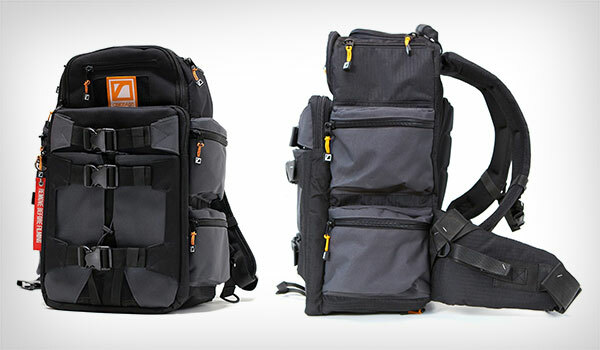 You can slung it over your shoulder with ease and without any effort. It has a tight grip and its material is rich and thick. You can even carry sharp things inside it and it would not get worn out or get teared apart whatsoever. The colors are classy and elegant too. This is the richest and the most elegant color of grey they have for this bag. The straps and style is very creative and unique. This bag is the finest amongst all, you are lucky if you will buy it. It is very rare to have these features in the market. 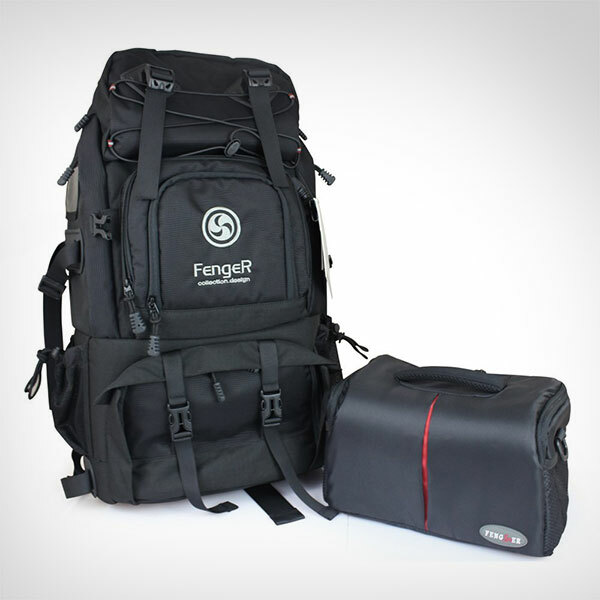 Its value is increased by its magnificent looks and marvelous range of pockets for your gadgets. 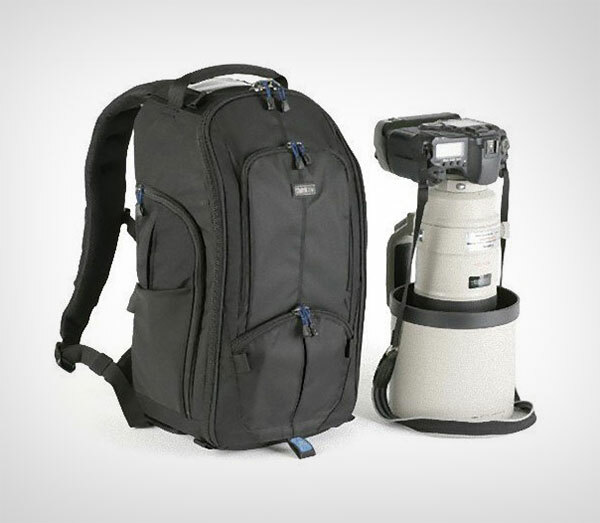 It has a tight grip and the tripod enhances its convenience. 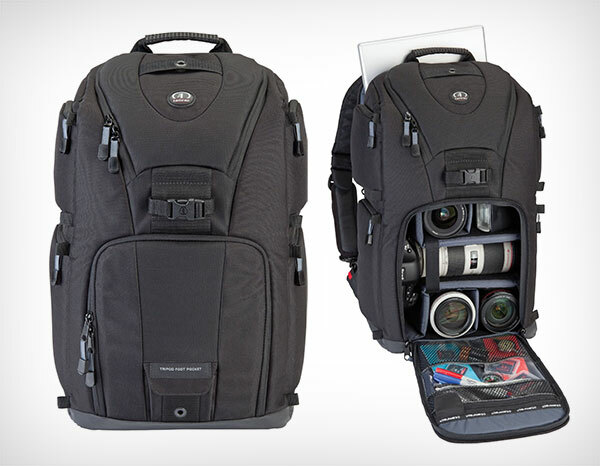 It is all black which makes it so elegant and classy, its amazing CPS – Camera Protection System tempts you to buy it. The bold and sharp look with constructive body makes it stand out. Style and sophistication is guaranteed. The color is an epitome of urbane nature. 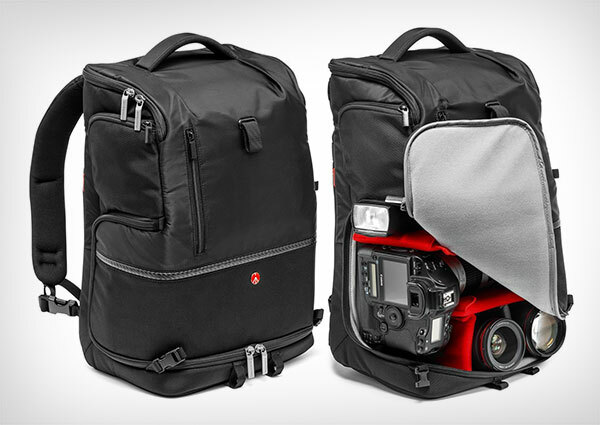 The best thing about this backpack is that you can put your camera right in the pocket and will not have to remove the pack. Its convenient and you will be convinced to buy this marvelous beauty. A bagpack that comes with such appealing looks and amazing sophisticated curves and edges would definitely make you run to buy it as soon as you lay your eyes on it. 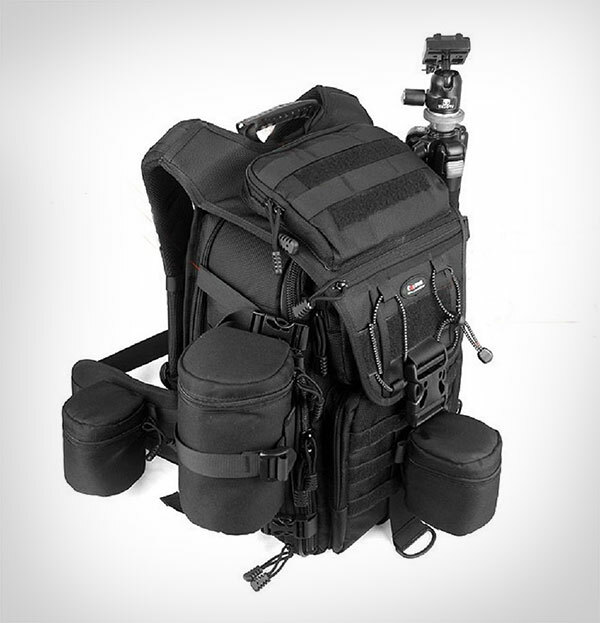 This black beauty is the ultimate Roadie Video Backpack that provides highly-refined professional performance concealed beneath a subtle and distinctive exterior, and it is built to impress without drawing unwanted attention when traveling. Soft liner that protects your camera from scratch or shock. If you worry a lot about your expensive stuff getting worn out then this would be a perfect pick for you. 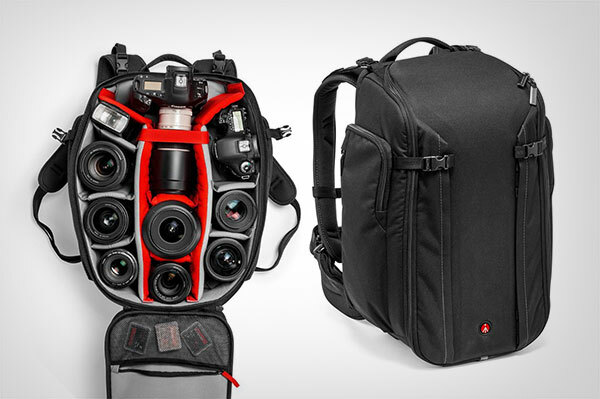 This camera can hold 9 Lenses if you are taking 1 camera with you. It is also water and shock proof. Sleek looks, dynamic quality, handsome features. What else might anyone want. 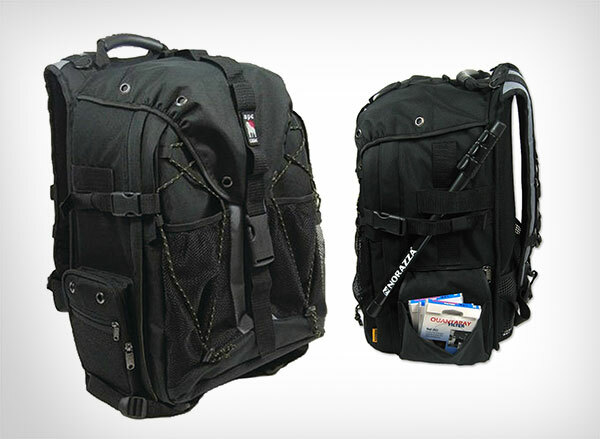 Grab this one as it has multiple ways to carry and your style will not be compromised here. The water resistant bottom and rain cover is a cherry on top of a pie. A bag that has a quality as good as this one and efficient transport time is surely not something to miss. Having said that its essential travel home, to save space. This bag does exactly what you need to do, after all its all your after your purchase. 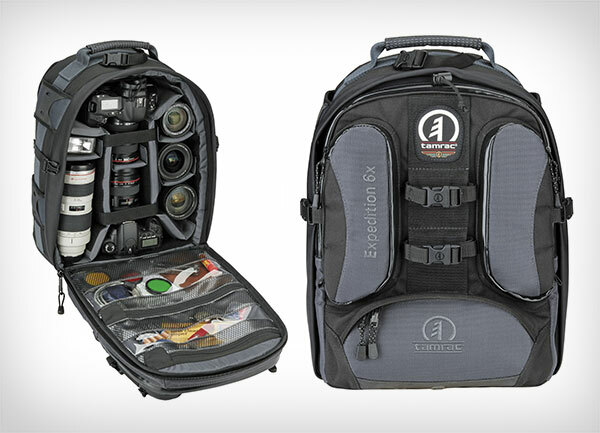 If you are an outdoor photographer then this is the perfect pick for you. 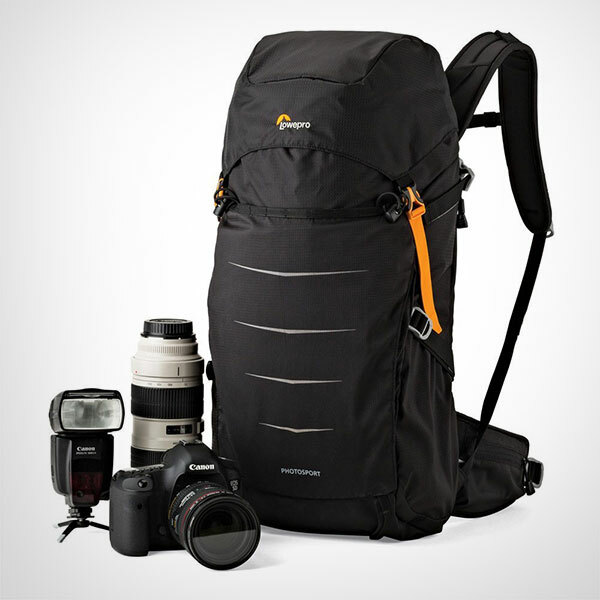 Lowepro’s patented all weather cover to protect bag and contents from extreme weather, sand, dirt, etc So you will not be having any problems while carrying this bag along your expeditions and travel. Light weight and economical. This one has a great body that will allow you to be creative and explore wwihuot having to worry about your expensive stuff. 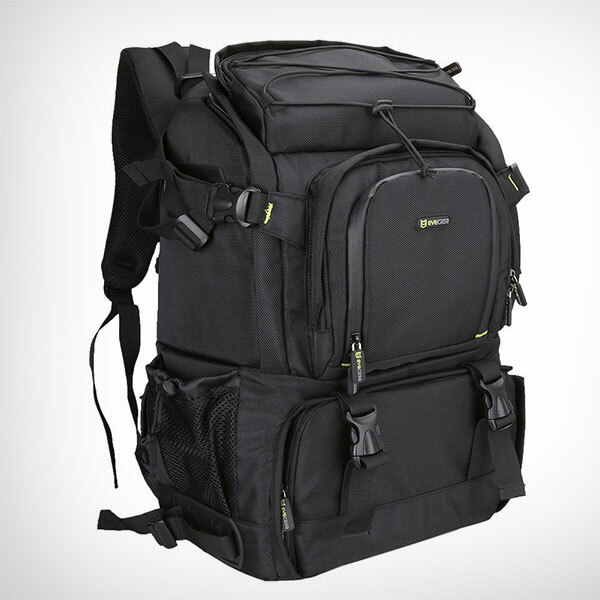 The heavily padded shoulder straps and wide, adjustable waist and chest straps make the backpack comfortable on the go. 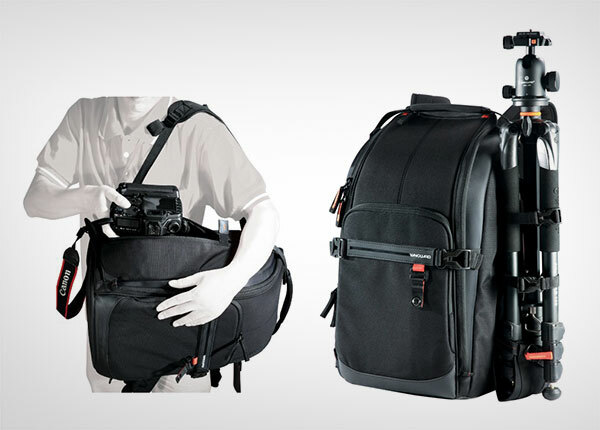 It has many versatile features including accessory pockets, rain cover, tripod holder with straps, and more. I would personally suggest not to miss out on this one. 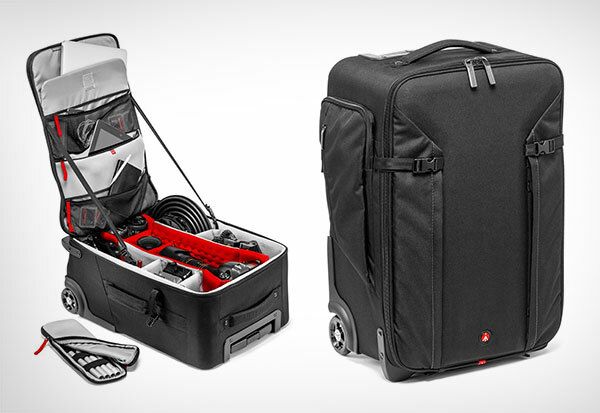 This bag comes with a massive storage, giving you the perfect space and length for your stuff. You will never have a problem carrying stuff in it. 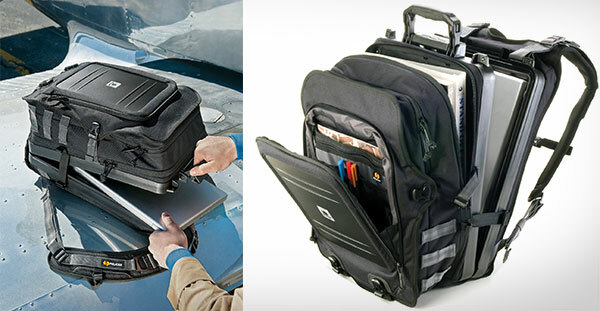 It is perfect for the ones who are always in a haste and wish to stuff their bags on the go. Sometimes the design is so appealing you never look back at anything else. Having second thoughts is a fool’s advice. The sleek red line with such a rich nylon material is something not to miss out on. Now this is what I call sweet! 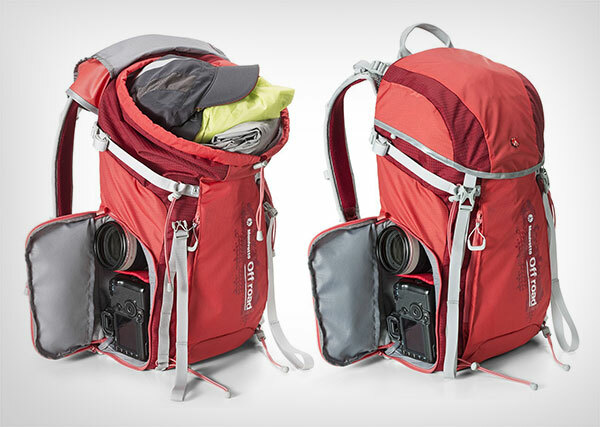 Such adorable pockets hanging alongside, incredibly huge bag and amazing factor of convenience and durability. The color is not at all disappointing, goes perfectly with the style it carries. What do you wait for? 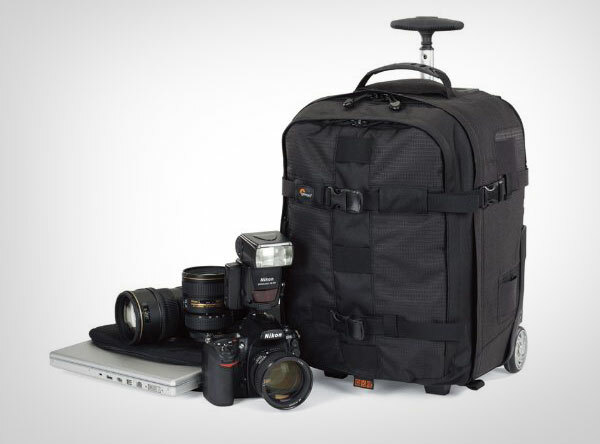 This one is a professional backpack with ample space for camera, lenses, laptop, and almost anything you wish to encumber it with. 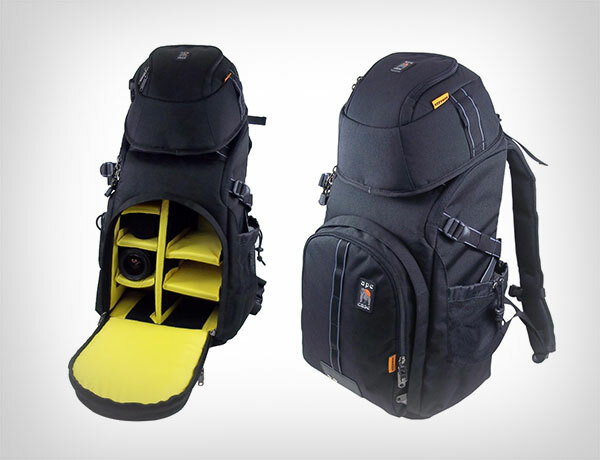 You can enjoy its multiple storages and keep all your camera related stuff in one place inside the backpack. The purchase will not be regretful, that is guaranteed. The structure is one of its kind, bold features and a professional outlook. 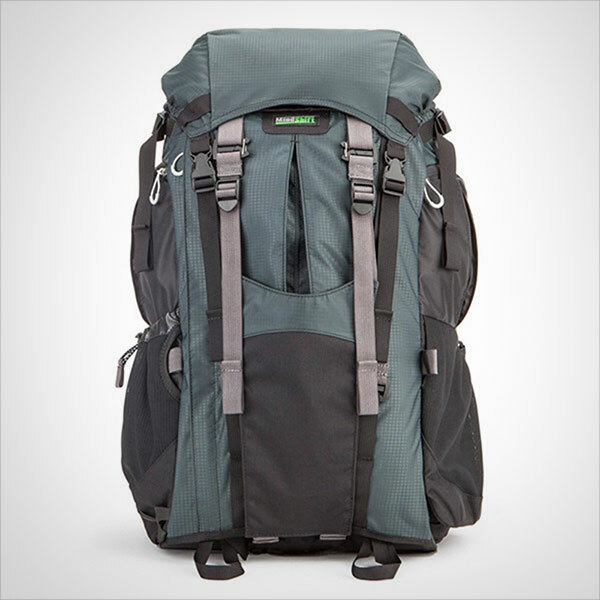 It has heavily padded shoulders that would be best for your convenience. 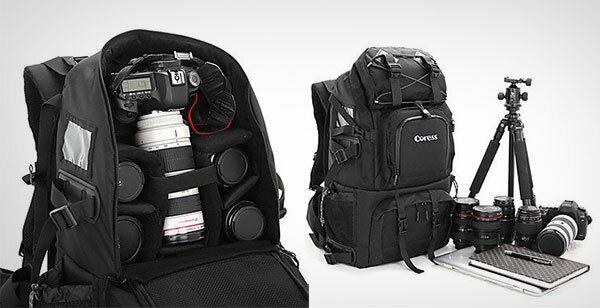 Plus it is fully Convertible From DSLR Camera Backpack Into Travel Bag By Unzipping Middle Compartment. Such an enticing outlook and rich colors, this bag does not need any words to explain how beautiful it is. One does not have to worry about the weight or size when he has this one. It is perfect from every angle. Do not throw this opportunity away! This one is a protector and a keeper. 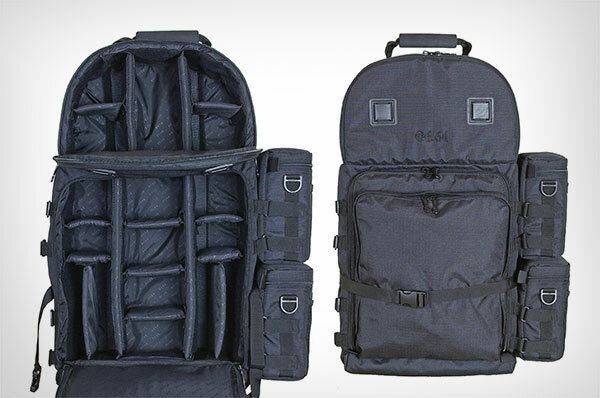 600 denier polyester backpack with high-density closed-cell foam padding and always ready to fight off heaviest circumstances faced due to bad weather. It will be supportive in any way you want it to be. Ever watched the wild explorer? Well this one will make you one if you are not one yet. Look at the enormous body and well-built structure. 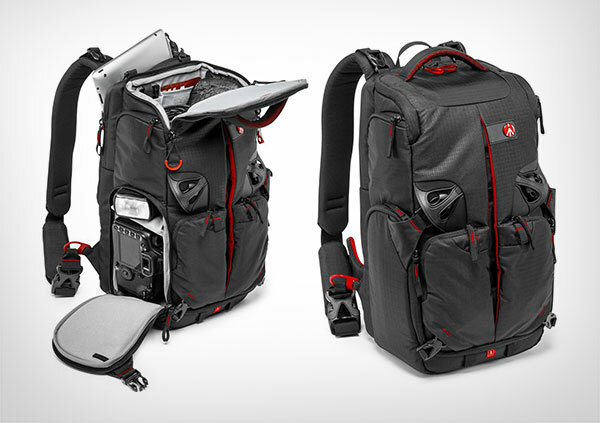 The color, pockets, and every feature is alluring. A must buy it is! 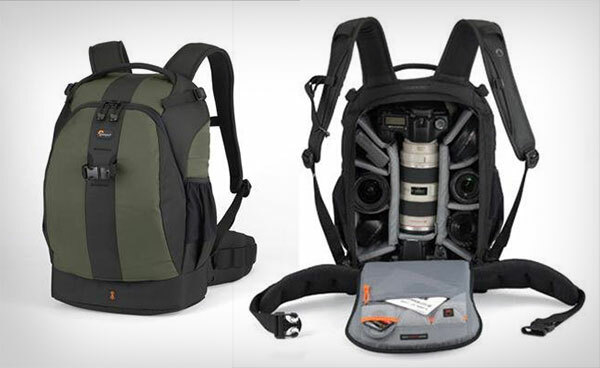 This camera backpack is simply commendable for it has beautiful pockets carrying all sorts of small, medium sized or bigger lenses. It has got a bold look and you can wear it with full confidence and it won’t let you down. 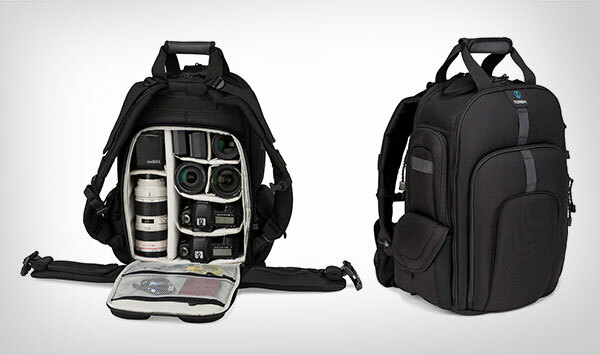 This black bag is jack of all trades because there is much more space in it to carry the camera stuff safely, the interior of the bag is padded to provide protection to the DSLR and tripod, it encompasses laptop foam padded space, a compartment reserved for light jacket or other camera related accessories. This bag also has side pockets that are zip laced so to carry smartphone/iPhone or iPod and to avoid things dwindling down. This is not just all, there is also a removable rain cover to be put as a safety shield against adverse weather conditions. This one reminds me of heavy duty wildlings expeditions. 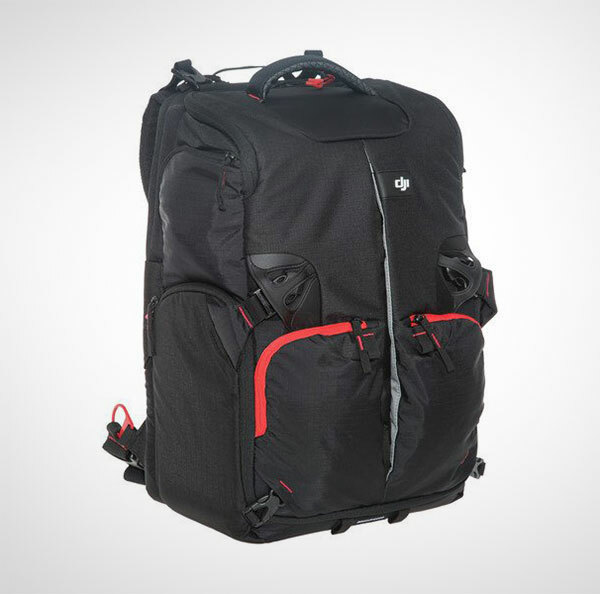 To be honest it has got a unique color that come with Internal Divider unzips for different configurations that are designed with high-quality premium materials. So if you wish to buy it then you are not spending your money in anything regretful. 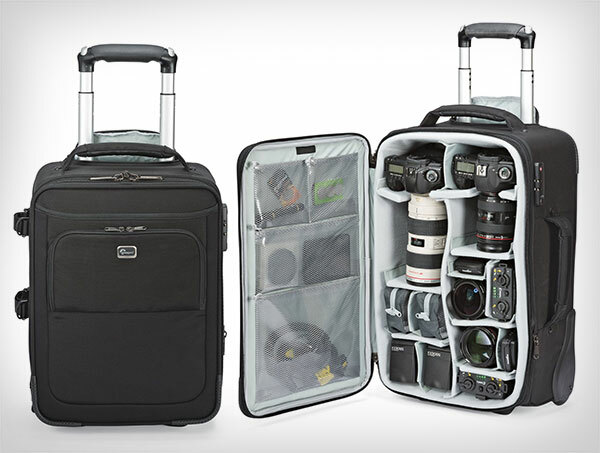 This bag comes with a massive storage, offering you a spacious storage for your possessions. You will never have a problem carrying stuff in it. 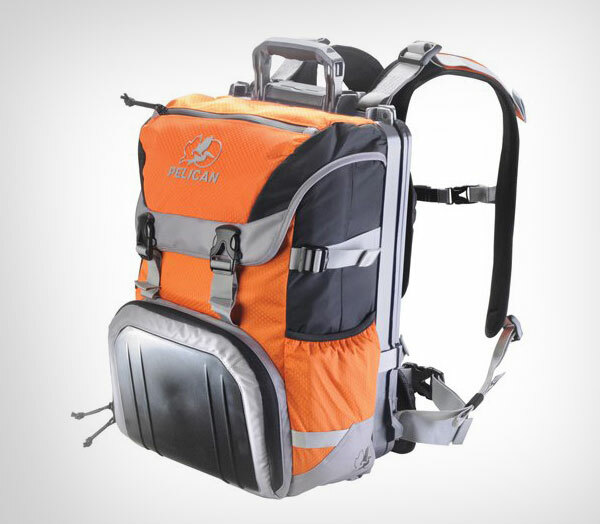 It has 4 Carrying positions, Quick draw side access and a one hand opening for your ultimate convenience. The color speaks for its individuality and magnanimous range of unique features. Bear Grylls himself would want to try this one out. Why not have a go at this one and start with your adventures with a red heat coming your way. Undivided attention will be given to this one, it will never rot, get worn out or prove to be any less than the material that has been used for it. If you are spending your money then why not do it on something that will prove to be a perfect protector for your possessions. It is affordable and quite good in structure too.